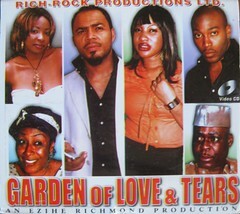 Mildred played by Mona Lisa Chinda has been in Nigeria for 9 months following the death of her husband. She has been following the traditions as expected by her husband’s family but the traditions are never ending and she needs to return back to her life in London. She needs to go back to work and her children need to resume their studies. Her husband’s family refuse to let her return and hide the all the family members passports. She is called a witch and told to confess to killing her husband. Her life changes when she opens her door to a stranger who followed her home from church. Who is he and what does he want? Banky Da Silva played by Ramsey Noah is involved in a serious car accident and ends up in the hospital with amnesia where Dr Dammmy played by Nse Ikpe Etim is his doctor. Doctor and patient grow very close to the point where they are soon involved in a torrid love affair. It is to the extent that when he is released from the hospital the doctor becomes a regular visitor at his home, cooking his meals and keeping him company. Halle Davis played by Ini Edo is an out of work desperate for work actress who goes on audition after audition and ends up landing a lead role after claiming her fiancé is Banky and with the promise that the will bankroll the whole movie. How will she get herself out of the big mess and web of lies she has entangled herself in? 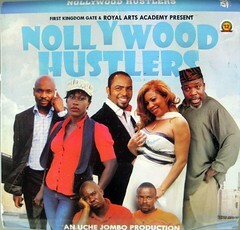 Nollywood Movies Review: When Jimmy played by Ramsey Noah loses his job through no fault of his own his family is plunged into poverty not even sure if they can any longer keep a roof over their heads. After endless job searching he becomes desperate. Seeing that his friend Mike is doing well as a Pastor he asks him if he can join his ministry. His wife Chioma played by Genevieve Nnaji is not happy about this telling him that is is not right for him to join the ministry considering the fact that he does not have the calling. Despite her worries he joins his friend Mike in the church business and then with the help of an old friend branches out and works towards the growth of his own ministry. Nollywood Movie Review: Ruth attends St Morgan’s High School, a boarding school in the fictional Federal Republic of Mangonda. Ruth is a daddy’s girl who never wants to do anything that could possibly disappoint her father. She is drawn into bad girl activities that she would not normally engage in though peer pressure by her roommates who regularly take trips across the border to frolic at parties with older men. One weekend her roommates persuade her to come with them out of the country to entertain some “big boys.” As soon as she gets there she is full of regret weanting to leave but unable to. Nollywood Movie Review: In this Nigerian movie Jenny played by Tonto Dikeh appears to have the perfect marriage, a loving husband, played by Ramsey Noah and two beautiful children, a boy and girl. She is blossoming in her marriage. The family have lots of quality time together and enjoy being with each other. Her friend Margaret, played by Daniella Chioma Okereke, however is perishing in her marriage dealing with a cheating husband. Jenny is Margaret’s confidant and slowly her friends distrust in her own husband rubs of on her. Her world is shattered when one day she walks into a restaurant and finds Michael feeding another woman. It is completely innocent but Jenny is convinced otherwise. Months after she declared interest to go into movie production, Screen Diva Ini Edo has finally decided to put her dreams to screen as she produces her first movie, along with industry veteran Emem Isong. which will be premiered on the 15th of October at 10A Ikoyi Avenue, off Macpherson Street, off Bourdillion Road, Ikoyi, Lagos. The movie tells the story of Halle an aspiring actress who had atteneded several auditions without getting a role. 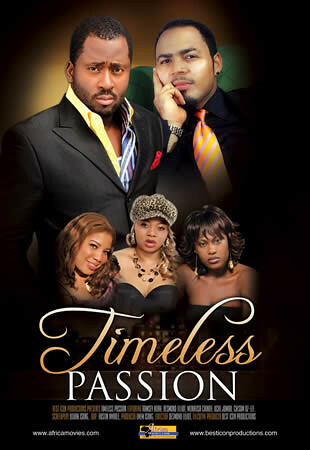 She finally gets her chance when she claims to be Bankole Da Silva’s fiancée, an oil magnate she’s never met. 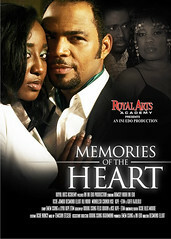 Ahmed, played by Ramsey Noah meets Gracie, played by Chika Ike one night when she is out drunk on the street after spending the night out by herself at a bar. He comes to her rescue by putting her in his car and taking her home. Their paths happen to collide again, this time at a fast food joint. Ahmed is too scared to approach Gracie as he believes that Bright, played by Chigozie Atuanya is her boyfriend. Once Ahmed does his research and finds out that Bright is in fact just a friend he begins to pursue Gracie relentlessly, however there is a problem he is Muslim and she is Christian. 16 year old Annabel played by Amanda Dilo is gang raped in her home in front of her parents and brother by some armed thugs. This act has devastating consequences for not only Annabel but for the entire family. Her father commits suicide because he feels that he has failed his family and cannot live with himself and Annabel stops caring about life and so starts to behave recklessly.